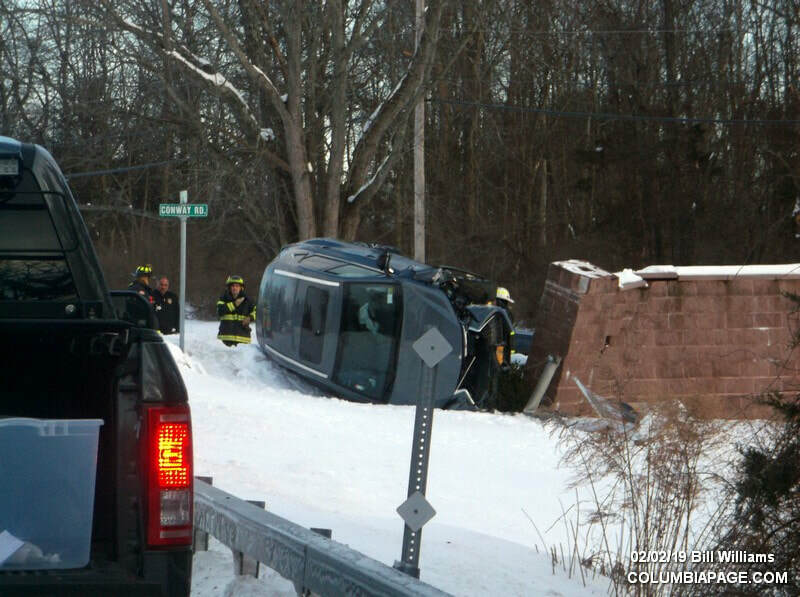 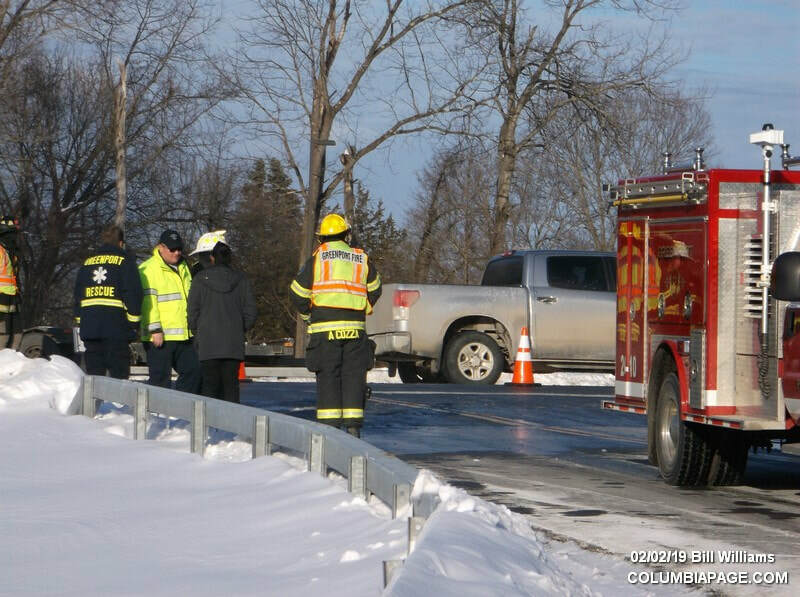 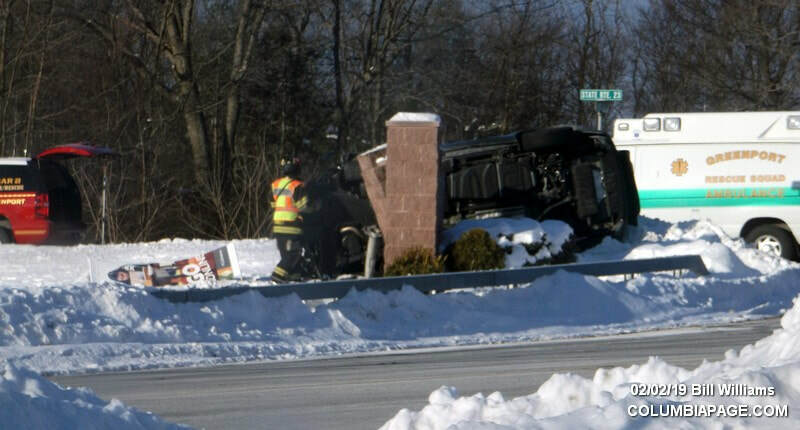 Columbia County 911 dispatched Greenport Firefighters and Greenport Rescue at 3:19pm for a reported rollover accident in front of Columbia Greene College at 4400 Route 23 in the Town of Greenport. 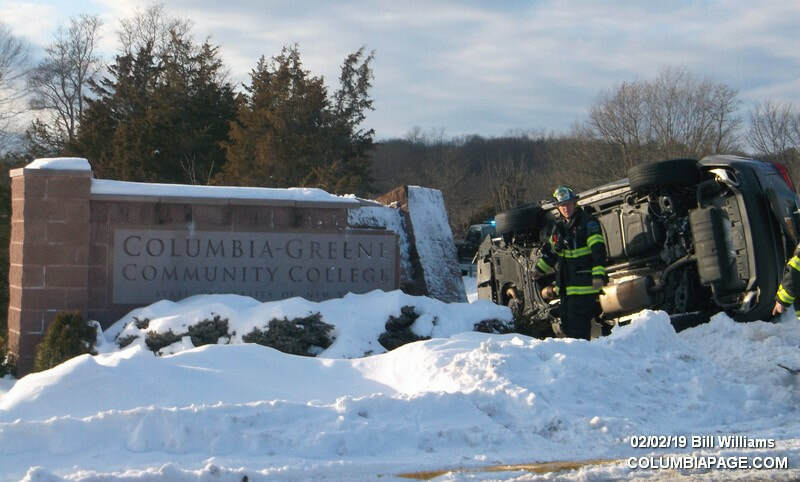 The vehicle struck the college sign. 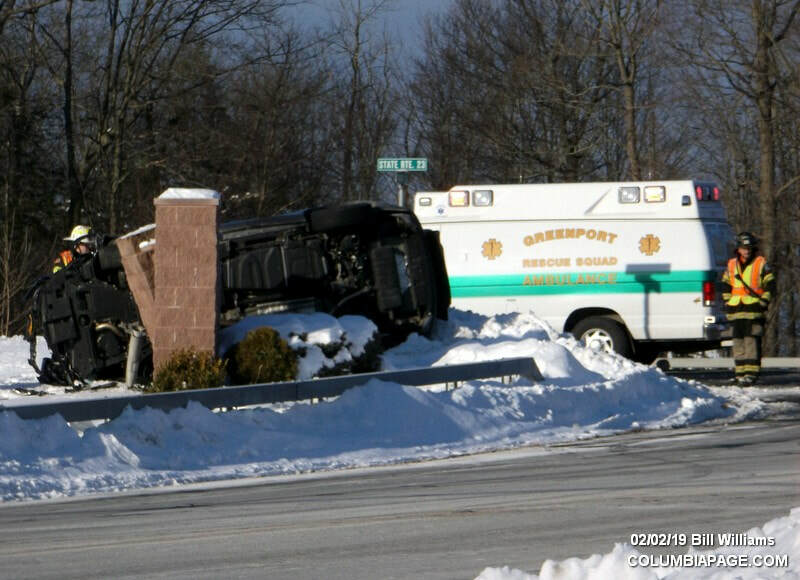 A LifeNet helicopter was placed on standby but not needed. 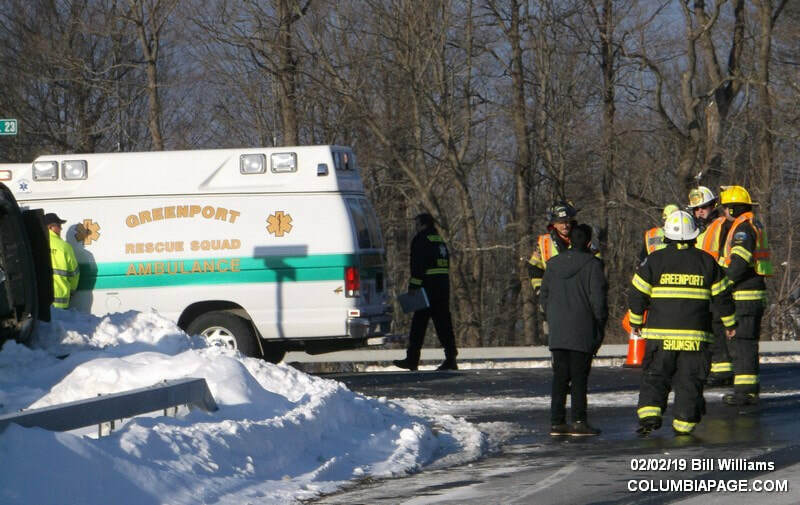 Greenport Rescue reported one that refused medical attention.